GreenPower Overseas Limited offers lasting solutions to the endemic problem of power supply interruption; through the provision our Consultancy, Power Systems and Solar Systems Solutions. 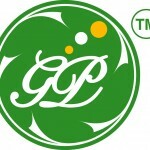 GreenPower Overseas Limited designs and builds a high performing, solar energy systems. Our team has extensive experience and we closely link modeling, building, and monitoring to provide solar solutions with the highest return on investment. We have built solid relationships with the top vendors in the industry. Our premier in-house design and installation teams deliver quality turnkey solar systems to our customers. 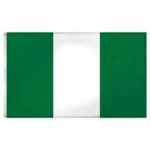 GreenPower Overseas Nigeria Limited is uniquely positioned to provide green solutions for our communities’ growing energy requirements. Our company has acquired substantial experience in the design and development of renewable energy projects that are environmentally friendly and economical.